Summer means two things, San Diego Comic-Con and watermelon... in that order! 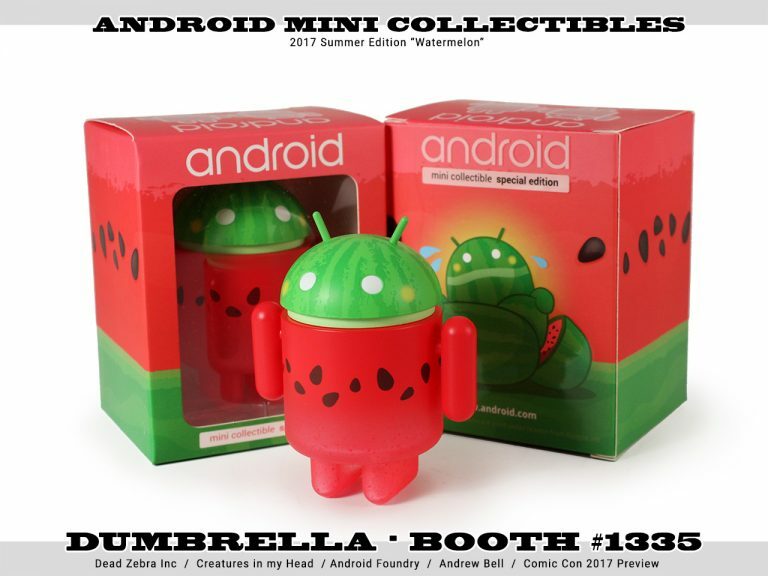 Fans of Andrew Bell’s awesome Android mini figures can satisfy their summer cravings with the sweet new San Diego Comic-Con 2017 Exclusive Watermelon Android! Featuring a translucent faded melon body and rind head, collectors can purchase this sticky 3” collectible at the Dumbrella SDCC booth #1335 for $10.